There are always a lot of things you can blame your weight loss frustrations on: a busy lifestyle with no time to cook, a slow metabolism, an injury that prevents you from exercising, your sweet tooth…and a million other “reasons”. But the truth is that, more often than not, what’s holding you back from success on your weight loss journey are your emotions. This might sound weird to you, especially if you passionately want to lose weight. How could this strong desire to get fit have anything to do with whether you feel sad, happy, or scared? It’s not surprising to overlook this connection since your thoughts and feelings might not always be in perfect sync. Still, everyone’s different. The challenges you face might not be the same as someone else’s since there are a plethora of reasons why someone might be struggling to lose weight. To help you tap into your own feelings and see whether they represent a barrier to your fitness and health goals, check out these common emotional roadblocks to weight loss. Emotional Roadblock #1: You eat to calm difficult feelings. Emotional eating is the number one reason why feelings get in the way of weight-loss efforts. We often associate food as a type of reward, so when we’re feeling sad, angry, or stressed, we seek comfort from it. If you have this issue yet wish to successfully shed those pounds, you need to find a new way to reward yourself. It will be difficult, but with diligence and persistence, you can overcome it. Start by keeping a record of your emotions before you eat. Identify the feelings that trigger you to binge eat or consume unhealthy foods. By keeping a journal like this, you can better manage your eating patterns and look back on it as you progress through your weight loss journey. Emotional Roadblock #2: You’re scared to admit you need to lose weight to others and yourself. 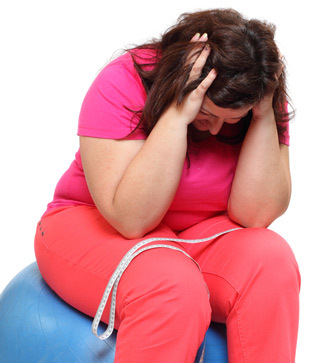 Admitting that you need to lose weight is more difficult than you may think. However, that’s the first step when embarking on a weight-loss journey. You might have decided to go on a diet, but telling others about your plans can be difficult. You’d rather keep your progress and goals to yourself. That said, everyone is different and some people may do better when they tell others about their decision to eat healthily and exercise. They may be able to glean tips and tricks from others, get encouragement, and not be tempted to eat unhealthy foods so often. Acknowledging a need to change yourself takes courage. Different people have different ways of keeping themselves motivated so, it’s more important to know what works for you instead of abiding by social norms that force you to follow a set rule. Emotional Roadblock #3: You don’t trust the process. There is a lot of uncertainty involved in dieting and exercising. You may commit to strict regimes, but to do it consistently without fail even when the results aren’t obvious requires a lot of faith. There will be voices inside you telling you that this isn’t going to work, or that you’re doing something wrong – ignore them. Put in the necessary time and effort to eat healthily and keep fit, and results will make themselves known with time. Are these common emotional roadblocks to successful weight loss issues for you? If they are, heed the advice given and you’ll be amazed at the results you see. When you focus on your emotions as well as your eating and exercise habits, you’ll be able to succeed on your weight loss journey.